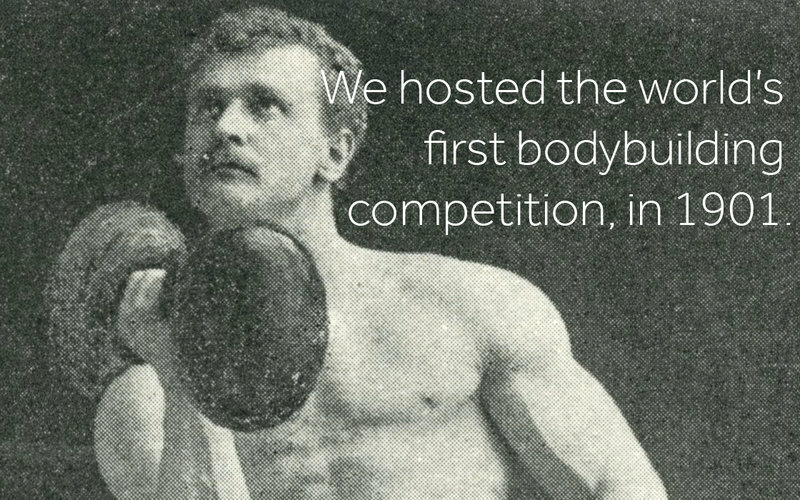 The Royal Albert Hall played host to the world’s first body-building contest, on 14 September 1901, judged by respected sculptor and athlete Sir Charles Lawes, and none other than Sherlock author Arthur Conan Doyle! Orchestrated by Prussian strong man Eugene Sandow, 12 finalists competed for a prize of 1,000 guineas, and a gold statuette. A sell-out success, the Hall was packed with a 15,000-strong audience, with hundreds more turned away at the door. A new enthusiasm for health and fitness gripped London, and bodybuilding came of age overnight. Find out more about this event and other interesting chapters in the Hall's history via their Secret History Tours, currently running until the end of September. The Royal Albert Hall Source.